Lanvin fragrance and perfume list. In 1924, Jeanne Lanvin opened her atelier de parfums in Paris - and a world of olfactory delights was born. "Parfums Lanvin will begin their long-standing career in 1925 at 4, Champs Elysées with simultaneous openings at Cannes and Touquet. The perfume laboratory will be in Nanterre. Even though the background of the first few perfumes is shrouded in mystery and the allegedly Russian-born (and nebulous) Madame Zed --or more truthfully Marie Zède*-- the fact is that it was the then young perfumer André Fraysse who created the triumphs of the Lanvin fragrance line from 1925 onwards. Such was his input that the legendary perfumer Edmond Roudnitska had once said that he considered Fraysse to be the best perfumer of them all. ...the L'Oreal Group and the Vuitton family bought out the Lanvin house, organising the first re-orchestration of the classic Arpège fragrance; to outcries from the loyal fans which demanded and effectuated a needed twist in the latter part of the 1990s, albeit never to the grander glory of yore. Since 2007, parfums Lanvin are owned by Inter Parfums...."
Lanvin Parfums was established by Jeanne Lanvin (1867-1946). 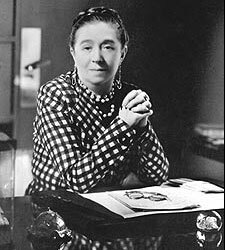 Jeanne Lanvin was born January 1, 1867 in Paris, France. She opened her millinery at 22 rue de Faubourg-Saint Honoré, Paris in 1885. Lanvin established Parfums Lanvin (Societe des Parfums Lanvin) in 1925. When Jeanne died in 1946, her daughter Marguerite (later known as Marie-Blanche) takes over the House of Lanvin. In 1985 the wife of Jeanne's great-nephew, Maryll Lanvin, took over Lanvin. L'Oreal acquired the design house in 1986, controlled by Louis Vuitton (Louis Vuitton Moet Hennessey). The Lanvin logo was designed by Paul Iribe of Jeanne Lanvin and her daughter Marguerite (Ririte). Museu del Perfum (http://www.museudelperfum.net/?q=en/reference/perfume/reference&id=50932), Oct. 2011.